If you are new to blockchain and are looking to fast track your journey in the blockchain space, this is the place. Divided into 3 tracks, this bootcamp has something for everyone. Fii Track (Day 4) – There are many kinds of chains and on Day 4 you will be learning about FiiChain; what are the differences with other blockchain protocols and how to develop on their platform – hands on. Here are 3 more reasons why BitcoinMalaysia recommends this is the workshop for you. Blocklime is a developer team run by a young, dynamic and “zesty” group of talents born & bred in Malaysia. 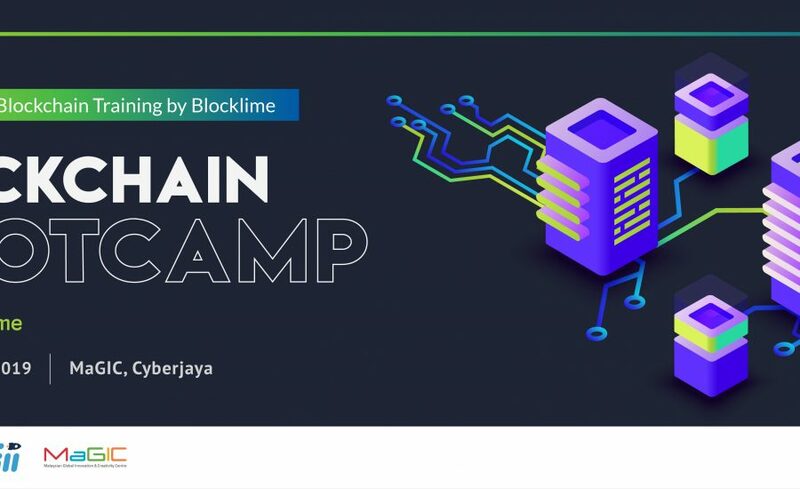 They have been running blockchain bootcamps to develop our local blockchain developer pool since early of 2018. BitcoinMalaysia has been following this group of people even before their company was even formed in late 2017; when they were winning hackathons around the Southeast Asia region. You would want to be trained by them. You will soon learn that there are many tools to develop a blockchain. And we know Blocklime has been experimenting with a vast number of them e.g. Ethereum, IPFS, Hyperledger, Quorum, NEO, Multichain, Hedera Hashgraph. Learning from people who have experienced as many tools as possible will prove invaluable to you in order to make sense, navigate and thrive in a space filled with so much noise, fast-paced development, and changes. It is rare to have one of these programs in our country. There are very few good blockchain developer programs in town, and understandably so. This space is still very new, plagued with fear and uncertainty, from both the regulators and general public side. However, while most of the world watches by the sidelines, blockchain developers are the becoming the most highly sought-after resource searched on LinkedIn in 2018; the investments made by organizations big and small into the technology to solve problems in their industry are projected by Deloitte to increase significantly this year. So if you’re sitting on the fence, what better way to get yourself educated about blockchain all in one place – organised and curated by some of the best homegrown talent. If you’re interested only in BIZ track, just spend one day. If you have technical knowledge, go for all tracks. You’ll get the most bang for your buck. If you are a corporate, send your technical people here to get trained. This is not a sponsored post. You need it and our country needs more developers too. Go purchase your ticket here today and get educated fast. Use BLBT19 to get 25% OFF your ticket for BitcoinMalaysia followers.